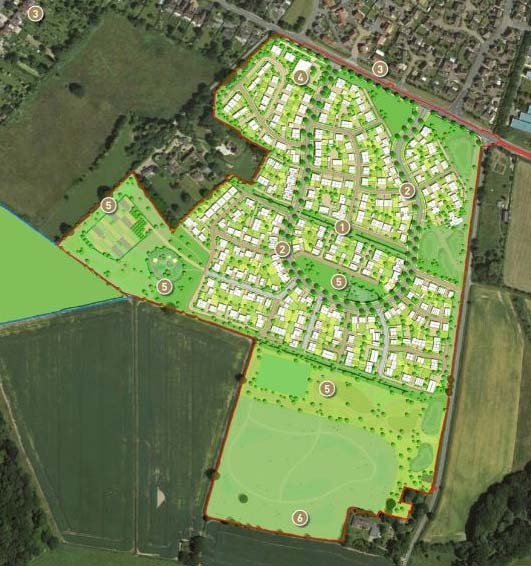 CALA Homes are inviting local people to comment on proposals for a development of 83 new homes at Burrow Hill Nursery. A community consultation event is being held, where representatives from CALA Homes and their specialist consultants will be on hand to discuss the proposals and answer any questions you may have. This will be your chance to have your say on the proposed development before a planning application is submitted to Warwick District Council. 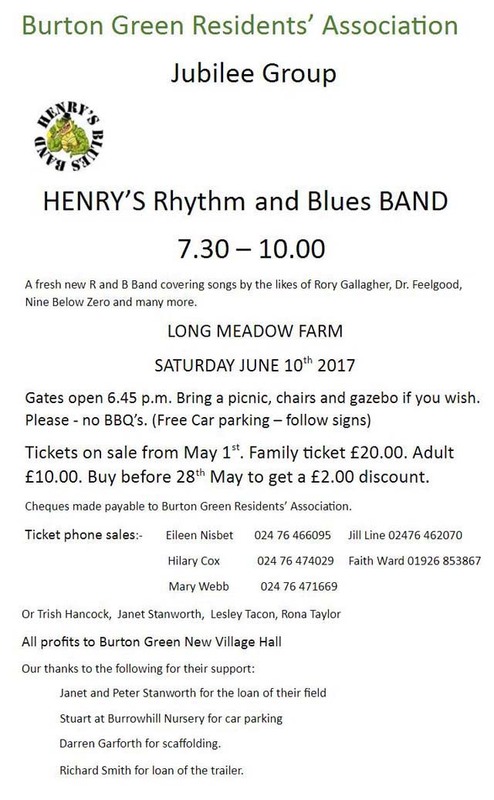 The event will take place at the Village Hall on Wednesday 7th June 2017, 1.30pm to 6.30pm. Following the Ransomware cyber attack on Friday 12 May, which affected the NHS and is believed to have affected other organisations globally, the City of London Police’s National Fraud Intelligence Bureau has issued an alert urging both individuals and businesses to follow protection advice immediately and in the coming days. The meeting was preceded by a presentation to John Whitehouse to mark his retirement as a Councillor and in recognition of his tremendous service to and interest in Burton Green and our community. Dianne Adams; Andy Gibbs; Trish Hancock; Janet Hickinbottom; Rona Taylor; Faith Ward and Mary Webb. The minutes of the previous meeting of March7th 2017 were approved. Invite community beat officer to meet with BGRA and PC representatives to discuss parking problems. At the Community Forum the police had agreed to add this to their priorities so there was no further need to arrange a meeting. Invite a speaker about dementia to the Residents’ lunch. A speaker about the fire service and community assistance had been booked by popular demand at the next lunch on June 16th. Donation to choir. The £50 donation had been made. £200 loan to Jubilee Committee. This had not yet been required. Regarding the hedge at Broadwells, I have spoken to the enforcement planning officer at Warwick District Council and he is supposed to come back to me having unearthed the documents. He told me over the phone that requirements to reinstate a hedge are comparatively rare and depend on the type of hedge. He is going to look it up to see if there was a stipulation on the planning documents. If any of the res Assoc members has a document which shows that reinstatement was insisted upon, I would be glad to see it. It was stated that Cllrs Coker and Illingworth agreed there was a document containing this information. Subsequent to this report, it was believed a new hedge of whips had now been planted. All other matters arising were to be part of the agenda. A report had been circulated. Since the last meeting, expenditure had comprised £50 donation to the choir; £70 for the painting and frame as the gift to John Whitehouse; £170 Bugle printing costs. Income consisted of £1.50 from the sale of bin stickers and £30.63 profit from the most recent lunch event. Water pressure: Nick Hogue was still pursuing residents’ concerns on this matter. Residents with water pressure problems in their homes were asked to inform Nick Hogue but at the same time to continue to report to Severn Trent. Thanks were expressed to Nick. A comment had been made by a representative of the Village Hall committee member who had attended a meeting with Crest Nicholson builders that the construction of housing developments on Westwood Heath Road would have further impact on water pressure. The Retired of Burton Green lunches continued to be popular and those involved were thanked for organising the event in March. Chevrons in Hob Lane had been damaged in a recent accident. Residents had contacted Solihull MBC without response. It was understood the PC was also following up this issue. Parking on pavements. This had been discussed under Matters Arising. There remained problems at some events at the Village Hall such as the recent Parish Meeting but a resident had asked those parking on the pavement to move their vehicles into the road. Continued reinforcement of the message remained necessary. Feedback from Kenilworth Community Forum. This had been discussed under Matters Arising. Andy said the only matter concerned the compensation available to residents in a number of bands marked at different intervals from the proposed line. He agreed to write an article for the Bugle. The situation with the hedge at Broadwels Wood had been covered under Matters Arising. Andy felt the defibrillator was a community asset and so costs could be met by the PC. The committee decided it would pay for the insurance but the PC could be asked to pay for replacement pads due in January 2018. Andy recommended the pads which were past their expiry date should be retained separately for use in training sessions. A proposed date of June 26th was being considered for a First Aid refresher course. Emergency services. There had been a delay in the arrival of an ambulance which had gone to Barford in error. It was pointed out that when the emergency services were summoned by phone, the location could be matched to the nearest phone mast but not necessarily to the exact location. Thanks were given to Mary and Hilary for maintaining the flower tubs. The next meeting would take place on July 11th 2017.